If you are planning an international trip, you will need a valid passport, and sometimes a valid visa to enter the foreign country such as Brazil and China. Both Brazil and China also have a Six Month Validity Rule where you must have your passport valid for more than six months before entry. To obtain a passport you will need to have documents such as proof citizenship, application forms, and recent passport photo to obtain a new passport. Can I used My Military Passport for a Vacation? How to Check if there are any issues with my passport application? How to Obtain a Passport in St Croix? I Found a U.S. Passport What Should I do with it? What Should I do With My Old Passport? What Proof of Identification is Required for U.S. Passport? Applying for a U.S. passport would usually depend on how fast you need your passport. When applying for U.S. passport, you could apply with the post offices, county clerk offices, and courthouses that process passport applications. For rush travel if you are looking for expedited services because you are traveling in fourteen days or thirty days if a travel visa is required then you would have to apply via the passport agency, for more information about the passport agency. Please Note: Not all of the above offices provide passport services you will need to verify your local office has an acceptance agent. Do I Need a Passport for my Newborn Baby? Yes! You will need to apply for a passport for your newborn baby. The rules are different for minors than adults, so be sure to learn everything you can about requirements and documents needed for a U.S. passport. If you are a parent who is looking to get a passport for your child, then you will just need proof that you are his or her parent by providing a birth certificate, photo ID and social security card. My Daughter is 16 Years old. Should she apply for Adult or Child Passport? Because your daughter is 16 year old she would need to apply for an adult passport which is 10 years as oppose to a child passport which is 5 years. They will need to bring a photo ID or a photocopy of it, proof of U.S. citizenship/residency and they must provide parental consent, which can be written or done by the parent coming with them. 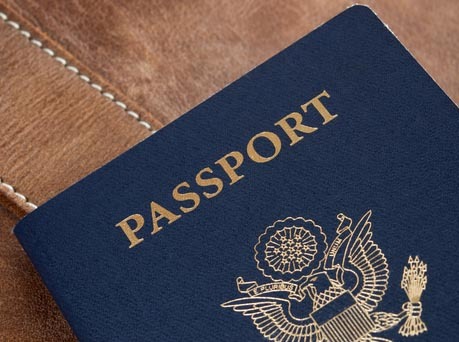 A passport is needed for traveling by land, sea and air to a city outside of the United States such as Canada and Mexico. If you are traveling by car to Canada or Mexico a passport card is also a valid document. It is important to know if you are traveling by plane to Canada or Mexico since you will need a passport book and not a passport card as passport card is only valid for land travel. The information that you will be needed in order to apply for a U.S. passport depending on the type of passport services you need such as new, renewal, lost and stolen passport the requirements and document varies. Proof of Citizenship – Long or short birth certificate for more information could be found here. Identification – I.D. Cards. Driver’s License, Social Security Card, Military I.D. Cards. It would be nice if the Killeen Post Office would answer their phone…. Been trying for 2 days now ring then then cant be completed, go figure…. I recently got my first passport in March of 2017. Got married in Jamaica in May 2017. Am l required to get a new passport or just a name change? If so how and is there an additional fee? Hello, in order to apply for a passport you must appear in person at an acceptance facility such as a post office or county clerk’s office. You will need a DS 11, passport photos, passport fees($110 for passport book and $30 for passport card and $25 acceptance agent fee), driver’s license, original/certified copy birth certificate (or the original naturalization certificate) and any original/certified copy name change documents, if needed. i like to get the passport id? what do i need for that ? what is the cost? how long it takes to get it. My old passport was from 2003. It has clearly expired, but my name has also changed. Do I renew the passport with a new name, or do I need to apply for a new passport? Taking my daughter to niagra falls, canada the day after her 16th bday. Can I take her with just a birth certificate? She has no drivers license or passport. Leaving in 10 days!! The Government has taken away the add pages option, you must apply for a renewal passport. My passport doesn’t expire until 2021, but I’ll be traveling to South Africa in October and I don’t have the 6 pages side by side for stamping. Can I add pages without renewing? My boss needs a new passport, but the other whan is lost. Which are the steps he need to do, if he want to apply for a new one at a post office? Hi, my wife and I both hve expired passport booklets. We want to drive to Canada. Can we apply for a passport card (described as for 1st time passport applicants ineligible for form DS-82)…or can we only renew our booklets? Also, do we only need our kids’ certified birth certificate copies to enter? Thank you! On page #2 it asks about an issued passport-I was issued a passport back in the middle 70’s when I was in the military it has been lost destroyed not sure I have no idea on the answers it is asking since it has been so long ago not sure how to answer . On page number 2 it asks for height weight etc is that for spouse or for myself? Who do we make the renewal fee check out to??? We accidentally got passport cards, but need passport books for the travel we are doing? Do we need to go through entire process again? Thank you. Hello you will recieve a new passport number, your best bet is to call the airline and let them know you have a passport in processing and they will allow you to book over the phone. Hello you can mail the applications together but you must submit 2 seperate checks.